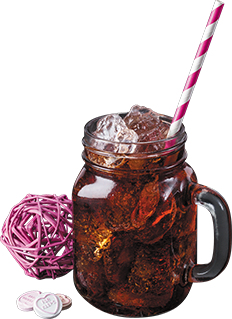 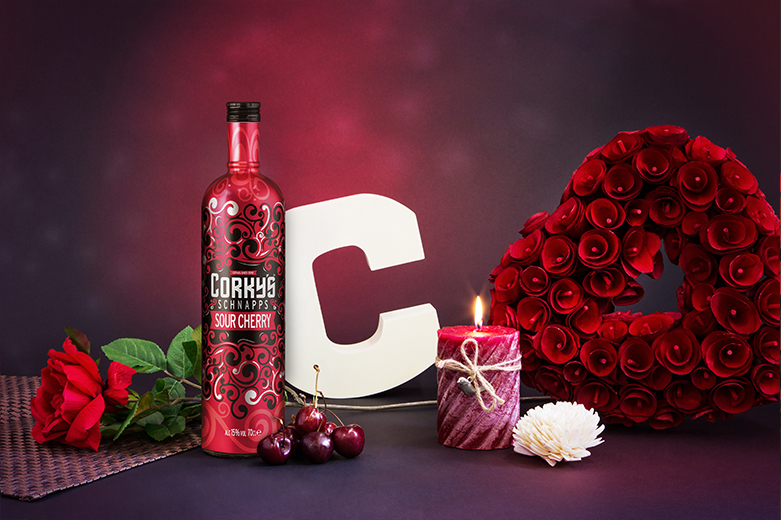 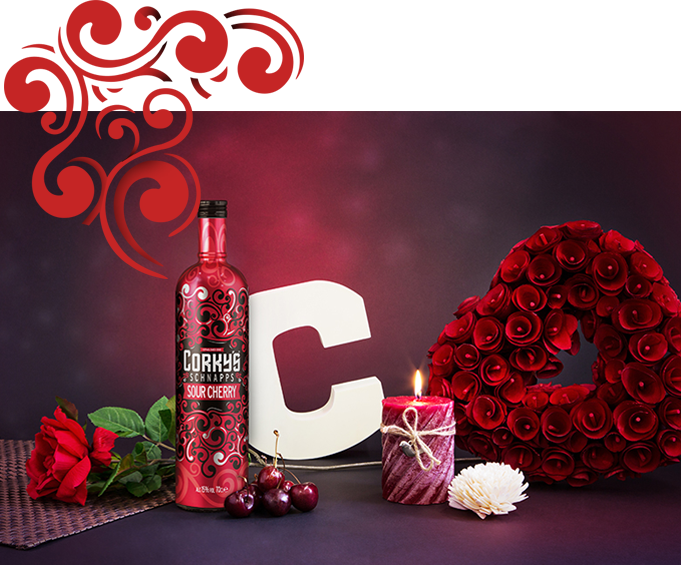 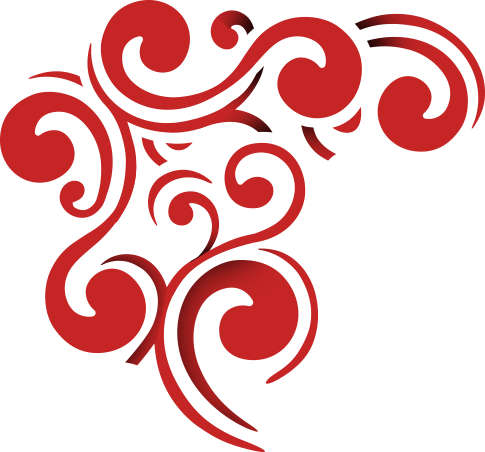 A perfect mix of sweet and sour, Corky’s Cherry Schnapps delivers an explosion of sour cherry bite with a sweet, tangy kick. 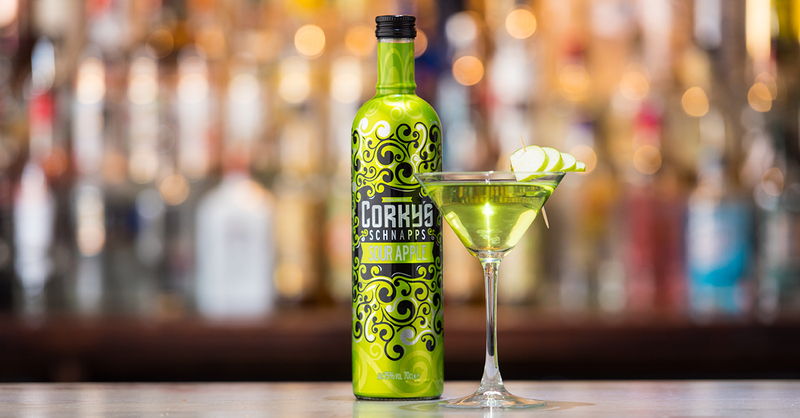 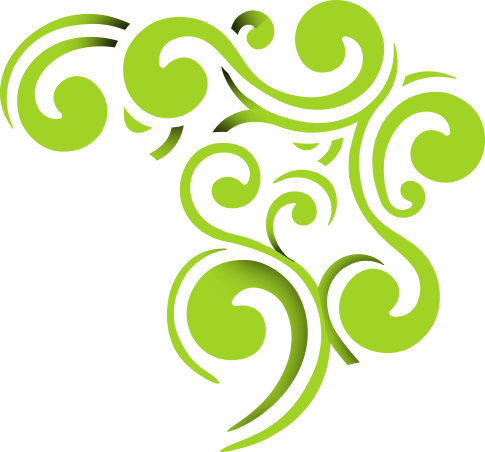 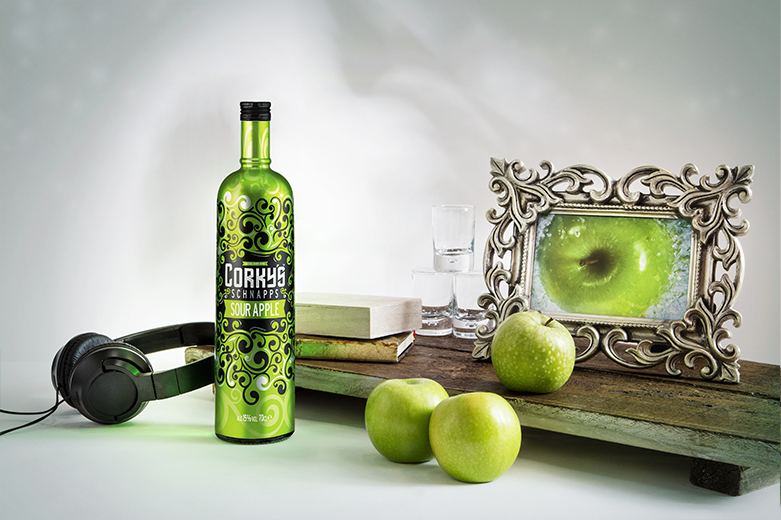 Corky’s Sour Apple will bring your taste buds to life! 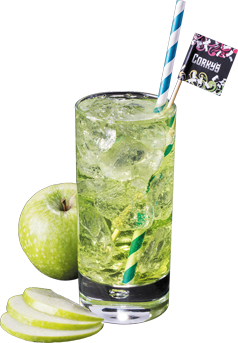 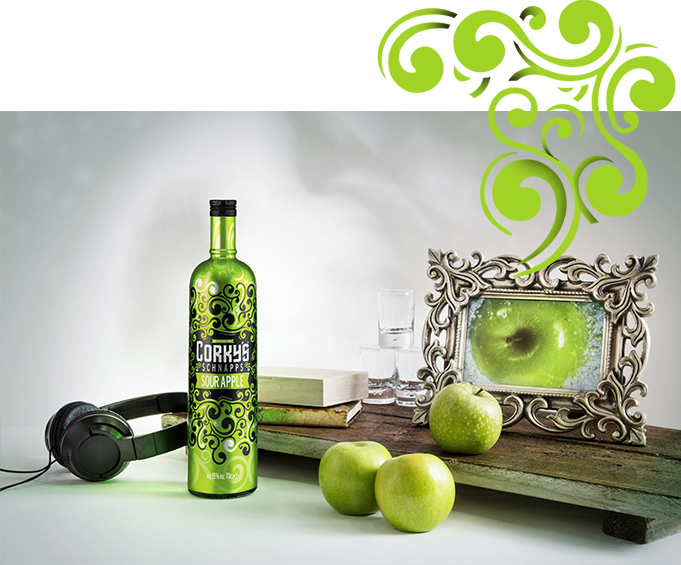 The crisp apple is refreshingly fruity with a sour twist. 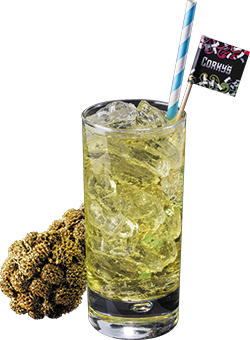 Add a dash lemonade for a taste sensation. 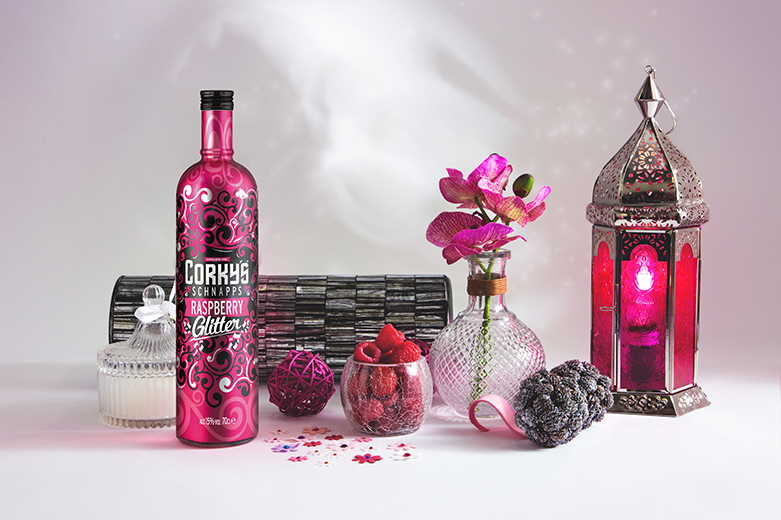 Raspberry Glitter Schnapps has a unique splash of raspberry fruit flavour infused with specks of glitter to add the perfect sparkle to any cocktail! 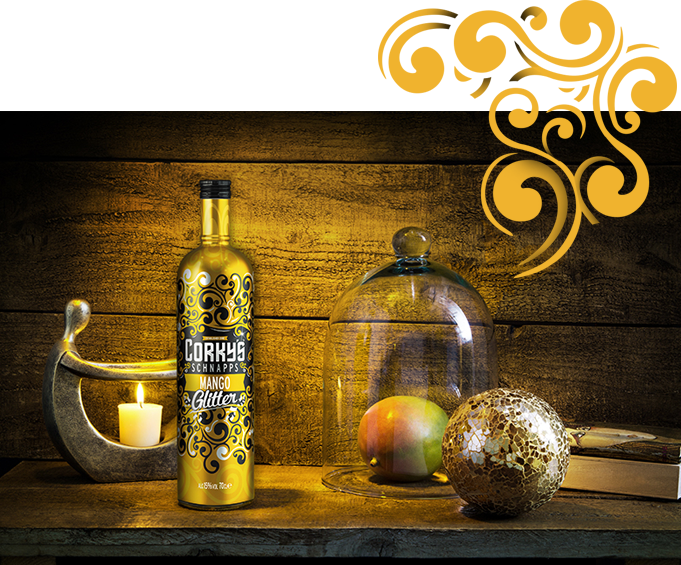 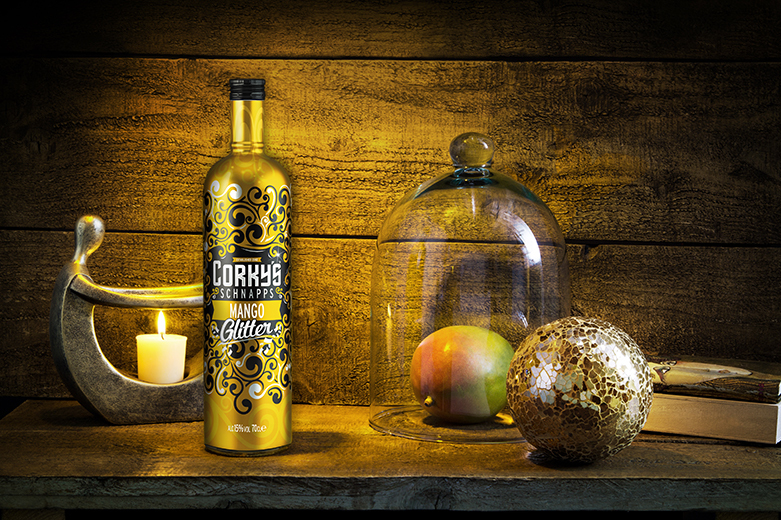 Corky’s Mango Glitter Schnapps is packed full of that fresh tropical flavour. 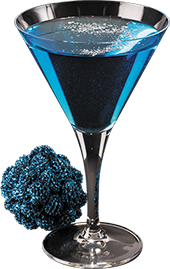 Perfect with rum and a dash of soda, get your disco balls ready! 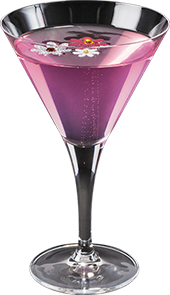 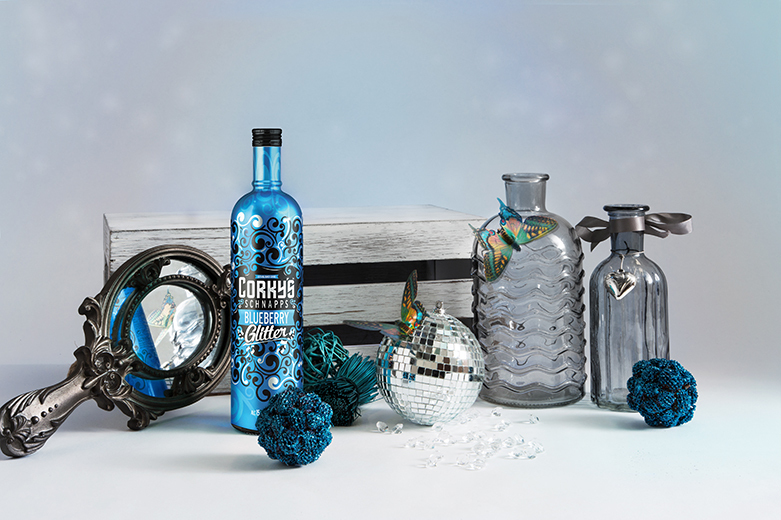 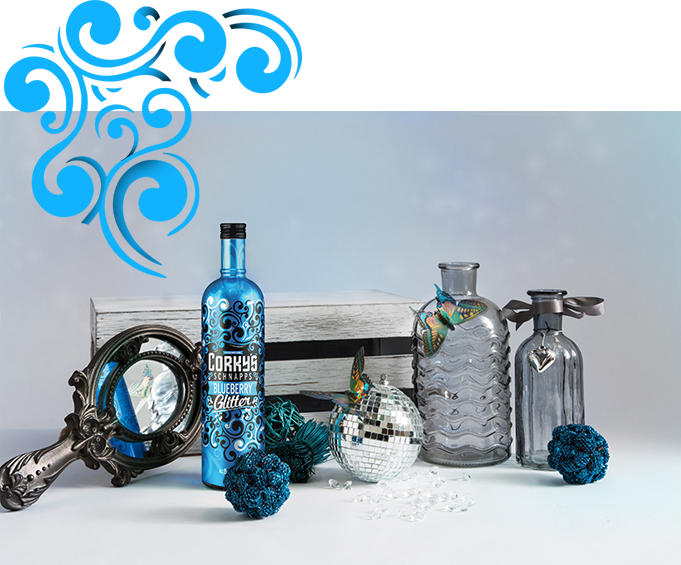 Corky’s Blueberry Glitter Schnapps captures the taste of ripe blueberries, swirled with edible glitter for an infusion guaranteed to impress everyone!